Are you a quilter and want to get the most out of your sewing machine? Are you just getting the quilting bug and want to know more? 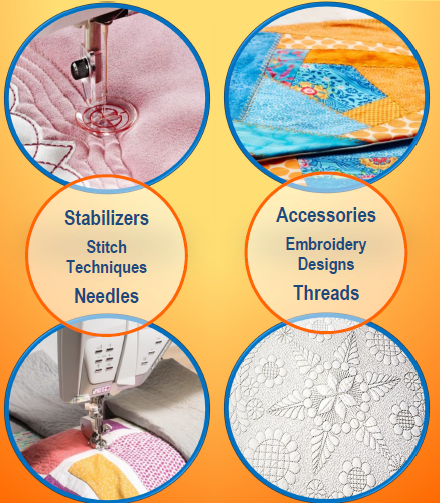 Join us as we explore all the different aspects of machine quilting from straight stitches and free-motion to decorative stitches and hooped automatic embroidery. Our HUSQVARNA VIKING® Education Specialist is here to share tips and hints from years of quilting. See what is available in the latest accessories and how they can help take your machine quilted projects to the next level! Register now as space is limited and we don’t want you to miss the fun!